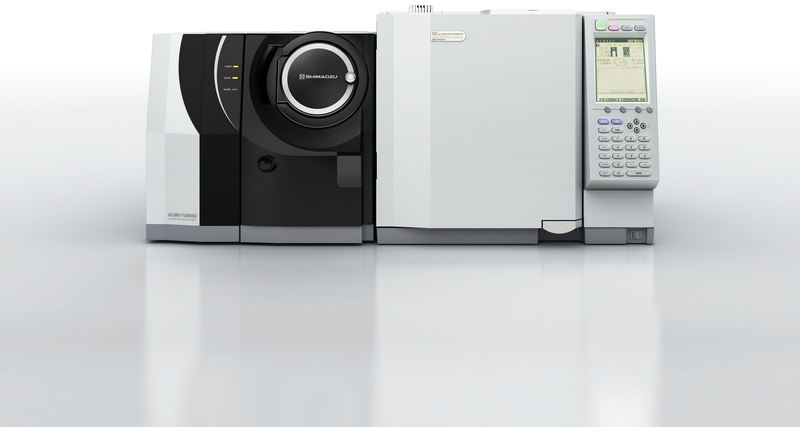 Shimadzu, one of the world leaders in analytical instrumentation, has released the GCMS-TQ8050 Triple Quadrupole GC-MS. This ultra-high-sensitivity GC-MS/MS system offers both robustness and one of the highest sensitivity levels in the world. In addition to detecting ultra-trace concentrations of components down to femtogram level, it can also maintain those ultra-high sensitivity levels for long periods. This makes it an ideal GC-MS/MS system for applications requiring ultra-trace analysis, such as analyzing ultra-trace concentrations of persistent organic pollutants (POPs) or endocrine-disrupting chemicals in the environment or analyzing impurities in pharmaceuticals. After introducing the GCMS-TQ8030 triple quadrupole gas chromatograph mass spectrometer in 2012, Shimadzu introduced the GCMS-TQ8040 in 2014, which featured improved operability. All over the world, this was especially well received in fields such as residual pesticide analysis, forensic toxicology, and metabolite analysis. With the increasing sensitivity available in GC-MS/MS systems, the range of applications needing systems capable of femtogram-level quantitative analysis is expanding world-wide. In Europe, for example, high-resolution GC-MS systems were almost exclusively used to analyze dioxins and polychlorinated biphenyls (PCBs) in foods and animal feed but in 2014 GC-MS/MS was also added as a method for confirmation analysis. By adding this newly developed top-of-the-line GCMS-TQ8050 system to the product range, Shimadzu will offer new solutions not only for existing customers but also other testing laboratories requiring even more sensitive ultra-high sensitivity analysis. In addition to using an ultra-high-sensitivity detector that can detect femtogram-level concentrations, the GCMS-TQ8050 also features newly developed noise reduction technologies which help achieve the world's highest sensitivity levels (2.5 times higher signal-to-noise ratio than the previous model). This exceptional performance means dioxins and endocrine disrupting chemicals in foods, for example, can be quantitated with higher accuracy and reliability than ever before. Furthermore, if the previous detector is used to detect compounds at femtogram-level, the detector gain has to be set so high that it causes a premature deterioration of the detector. In contrast, the new detector can be used for femtogram-level ultra-trace analysis without applying undue loads on the detector. That makes premature deterioration unlikely and results in the new detector maintaining ultra-high sensitivity five times longer than the previous detector. In addition, robustness as a GC-MS/MS system has been improved and maintenance frequency and costs have been reduced significantly by including features such as a highly stable ion source with patented technology and a quadrupole equipped with pre-rods. Shimadzu has released the GCMS-TQ8050 Triple Quadrupole GC-MS. This ultra-high sensitivity GC-MS/MS system offers both robustness and one of the highest sensitivity levels in the world. It detects ultra-trace concentrations of components down to femtogram level, and can also maintain those ultra-high sensitivity levels for long periods. This makes it an ideal GC-MS/MS system for applications requiring ultra-trace analysis. GCMS-TQ8050 Triple Quadrupole GC-MS is the perfect instrument for ultra-trace analysis applications.